This image looks really early 1900s. I google-searched for poets named “Mamie” and there are actually quite a few. I like October because it reminds me of innocent childhood, shuffling through piles of leaves on the way to school, before the days when people felt the incessant need to banish the sight of them immediately at all costs. Have you noticed, in these newer neighborhoods, it’s almost impossible to get a decent pile for jumping in? I like October for the crimson and pumpkin, for the eggplant and rust, and all the colors of the deepening, mature, lusty, whole and passionate part of the year when the autumn moon hangs heavy in the sky like the warm embraces of a tattered, weighty quilt sewn years ago for the need of heat and not some contest of a county fair. Have you ever been covered in one of those? 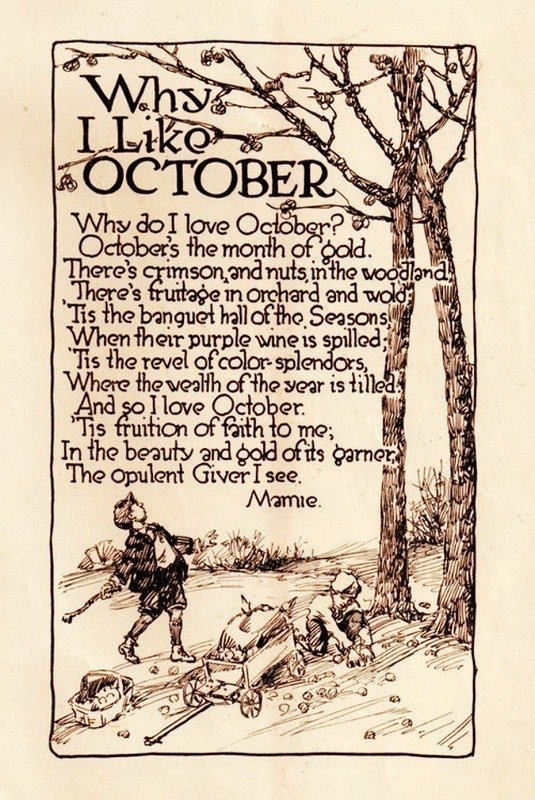 I like October because the coffee is richer, the evening cricket is less frantic, more rhythmic. The sun slants and schedules fall into an easy ritual, the day in and day out are much more organized. Tans fade, memories are made, soup is stirred, cakes are baked, sweaters come out and life is rich. I like October because my neighbor’s Maple tree explodes into multichromatic, vibrance and dances merrily in a dazzling production for me through my big window each time I walk through the room. From dark, living green to lime to yellow to orange to scarlet to blood-red and back. 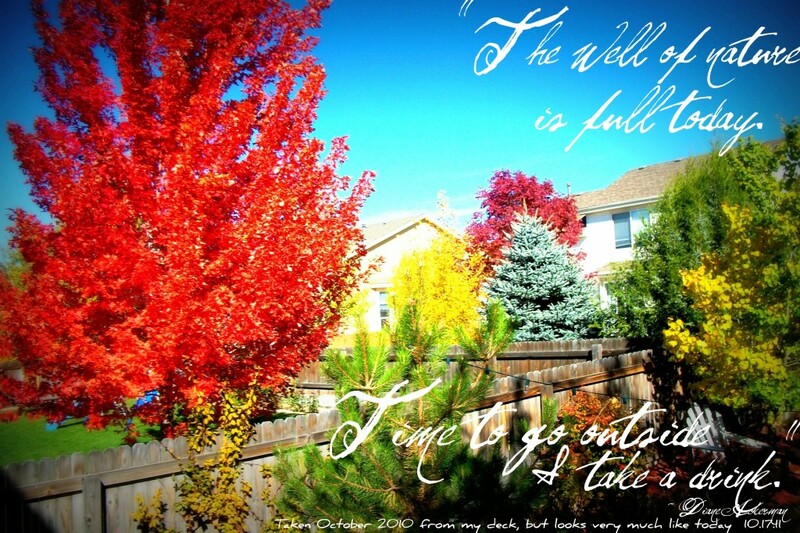 Then, just as all the colors begin to subside, like the finale of a summer fireworks display, a wind scatters the leaves far and wide and they glide and twirl and settle on the lawns with a promise to do it all again – same time next year. I do like October. Love it, even.